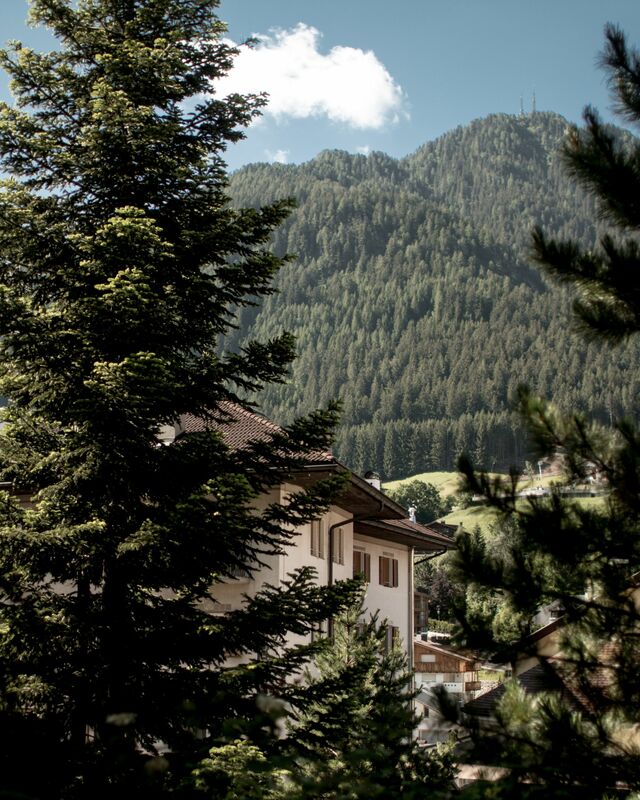 Nestled in the beautiful Val Gardena, the sleepy mountain town of Ortisei is almost like something from a fairy tale. Candy coloured buildings line the tiny town enclosed by the walls of the grand Dolomites. 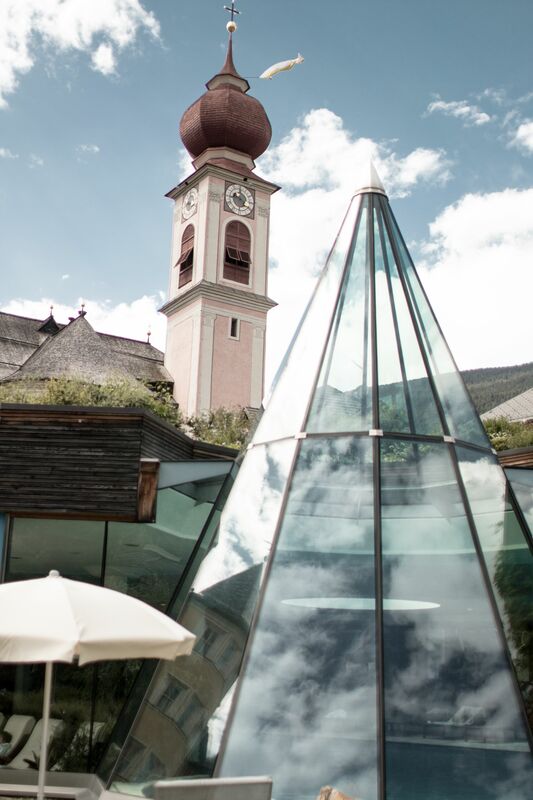 Belonging to the region of South Tyrol, in the north of Italy, its close proximity to the border has caused the seamless blend of Italian and Austro-Hungarian traditions. 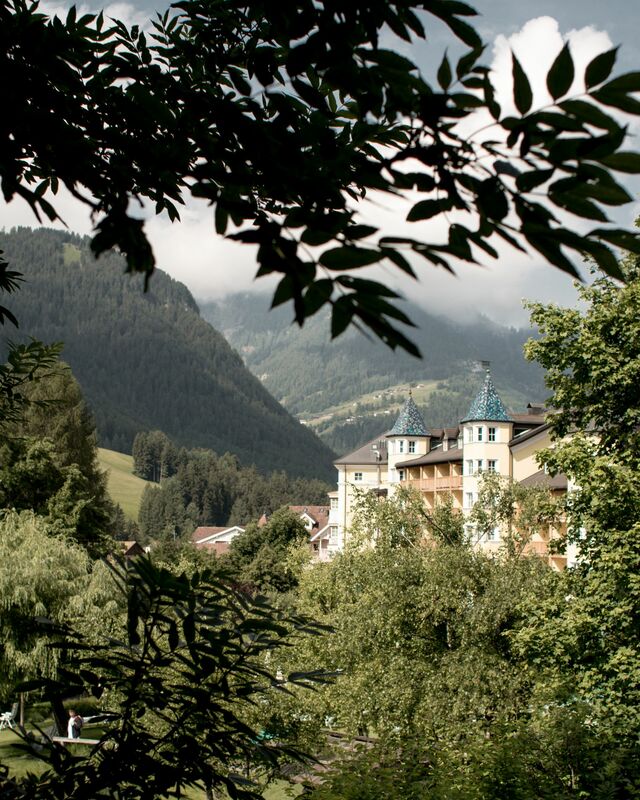 Although it's widely known for its ski resorts, its close proximity to the rugged Dolomites also make it an amazing place for an active summer trip. Since I'm not a regular (although watch this space) when it comes to winter sports and I'm not a particularly active holiday kind of girl, it's a part of Italy I've never thought to venture to. 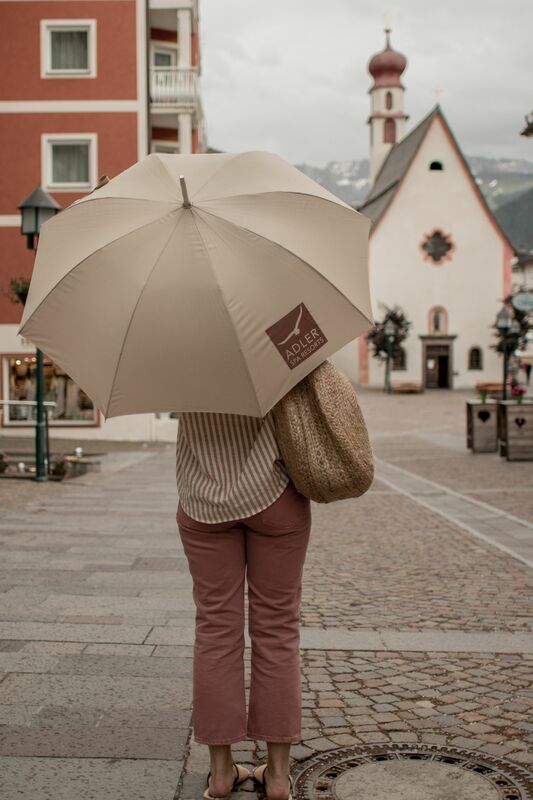 So after an incredible experience in their Tuscan resort, Adler Thermae, I couldn't resist the invitation to spend some time relaxing in their resort in the beautiful Val Gardena. The hotel itself is situated right in the heart of the small town, and dates back to 1810. Much like its counterpart in Tuscany, the hotel's design blends the interior and exterior to create a warm, welcoming ambiance. With more than 200 years of history, the building itself retains the characteristics of a traditional lodge, with wood panelling and open fires, combined with modern touches that make the interior feel elegant and contemporary. Set within beautiful gardens, the place feels very tranquil with its misty mornings caused by low-hanging clouds and the quiet grandeur of the mountainous backdrop. Offering the perfect retreat for when the world gets a bit too busy, Adler Spa Resorts combine luxury and wellbeing in a way that no one else can. With a completely unique feel to each hotel, the experience of each resort is designed to blend seamlessly with its environment. Whether its braving stormy skies and light showers for a soak in the heated outdoor whirlpool. 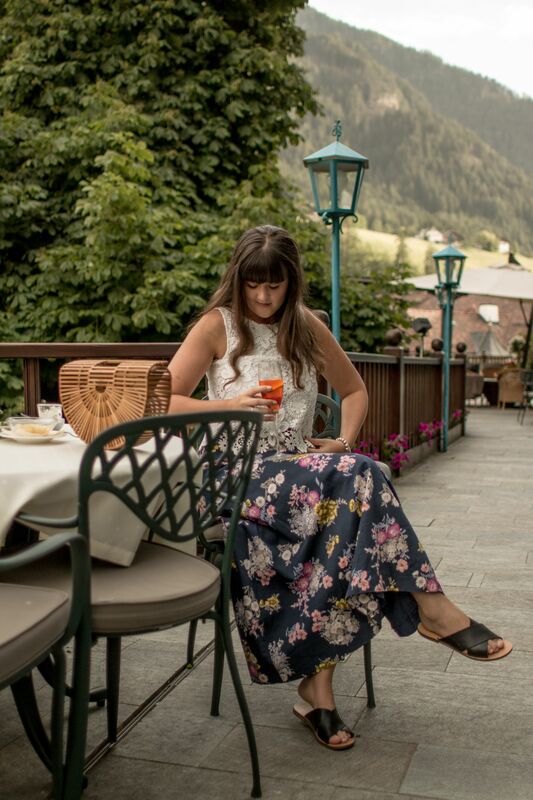 With its incredible views of the Dolomites, it was somewhere I could happily sit for hours. And even as the storms rolled in, the backdrop of the moody, dramatic skies against the mountains made it even more beautiful. During our stay, it felt like we experienced every season. There were warm, sunny days spent soaking up the sunshine by the outdoor pool areas. Then there were dark and gloomy skies, as storms rolled in from the mountains. On days where the weather was more stormy, and the temperatures started to dip, we retreated into the cosy warmth of the spa. 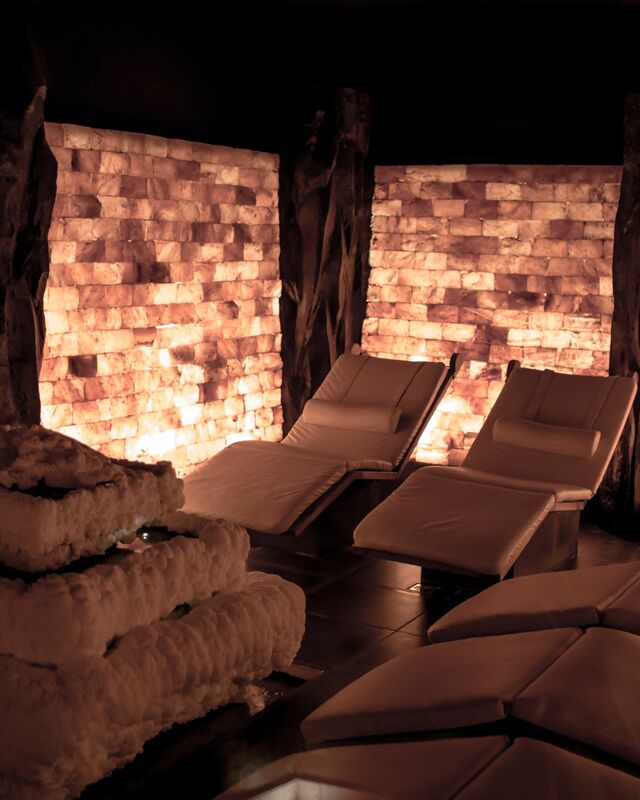 Offering a huge range of facilities, relaxation areas and an underground grotto filled with a network of saunas and salt chambers, there's more to the hotel than first meets the eye. It's something of a maze in itself and it's the perfect place to hide out from the rain while enjoying some pampering. We spent hours exploring the network of saunas, from rose baths to organic hay to blossom, the saunas themselves offer a distinct experience and a range of health benefits. 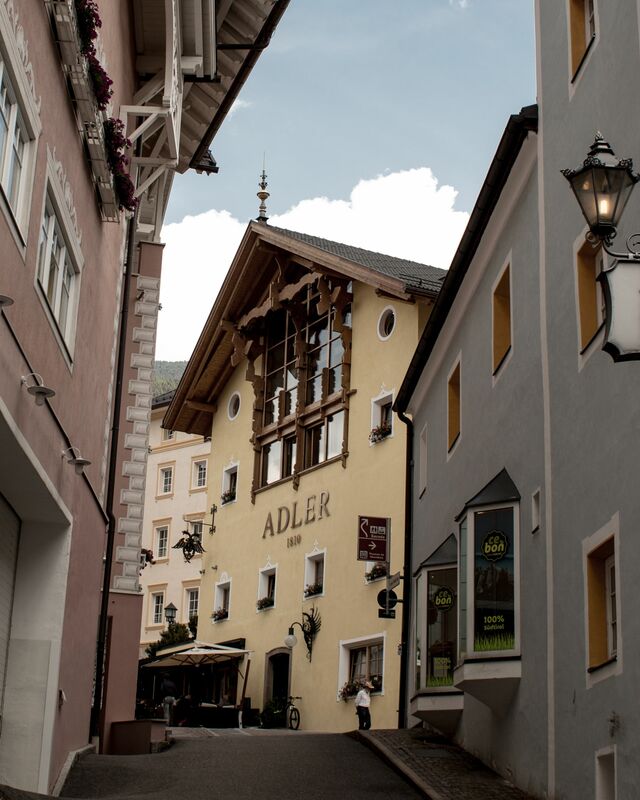 With the blending of Italian and Austro-Hungarian culture, Adler Dolomite's cuisine has a distinctly mountainous feel. While its flare is distinctly Mediterranean, South Tyrolean cuisine introduces a more German range of delicious and hearty dishes. 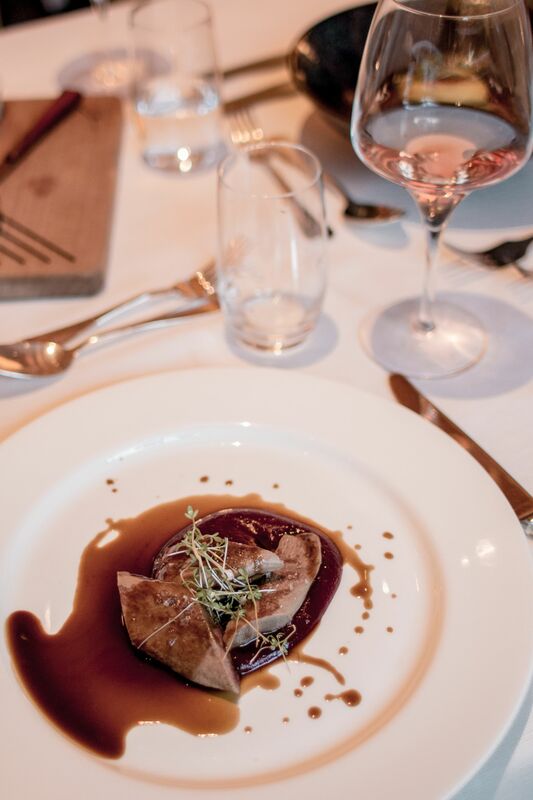 Each season sees the menu adapt to make use of seasonal local produce, and to offer guests a well designed culinary experience. 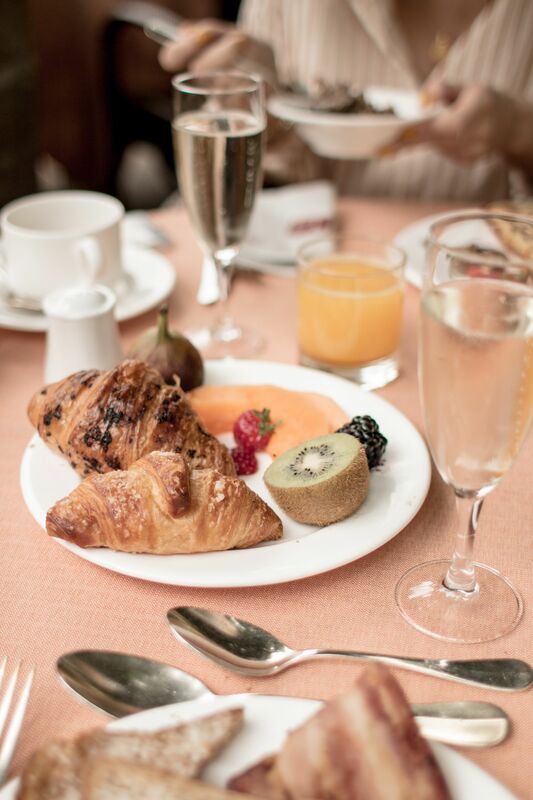 Much like the Tuscany resort, the day starts with a buffet breakfast spread offering traditional cured meats and mountain cheese, alongside fresh fruits, pastries, bacon, eggs, and usual breakfast delights. 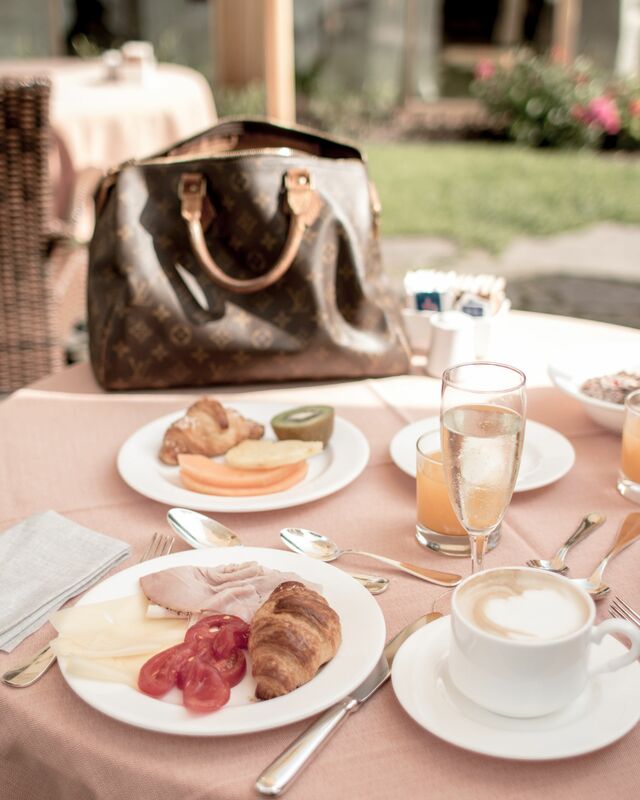 We started the day slowly, dining in the elegantly manicured gardens. 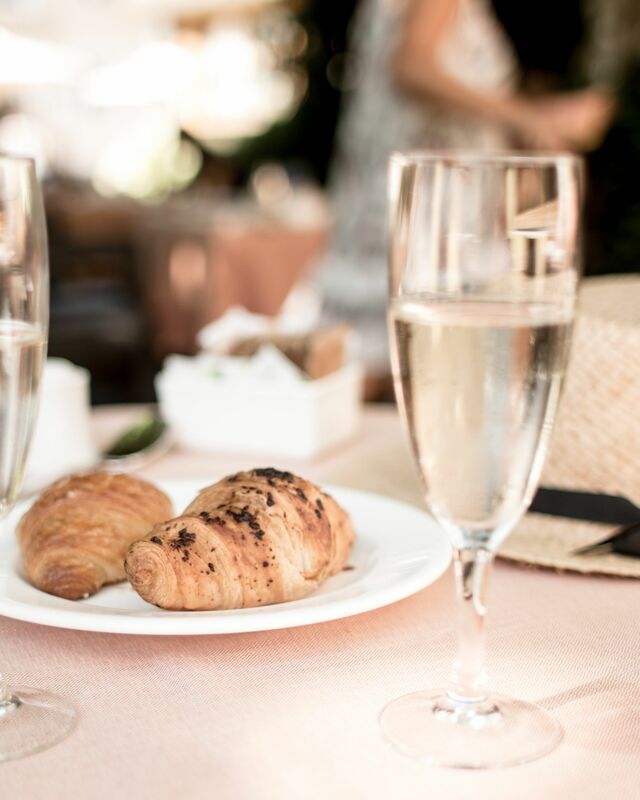 Mostly with freshly made waffles and nutella, or perfectly crisp croissants, alongside our morning cappuccinos and the occasional glass of prosecco! 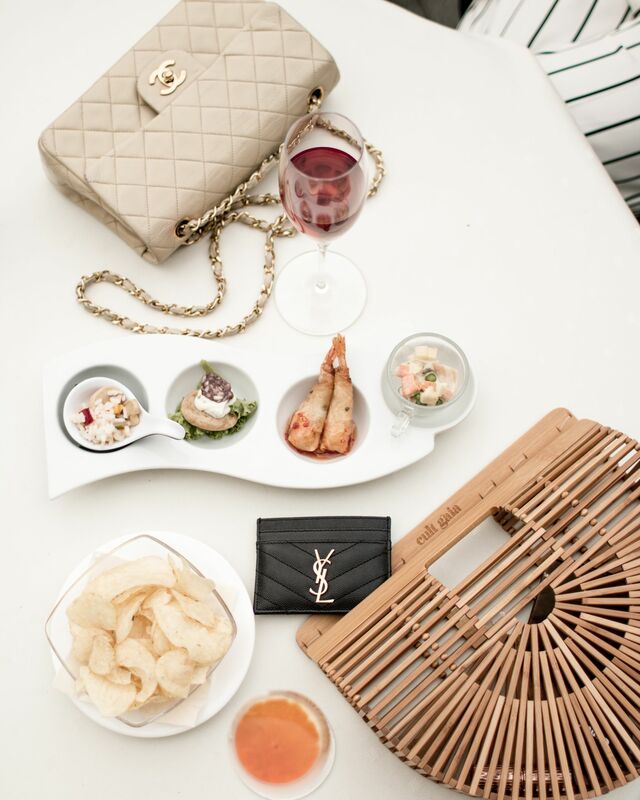 During the afternoon, a snack style buffet offering occupied the dining rooms, and early in the evening, a small aperitif before a magnificent evening feast. 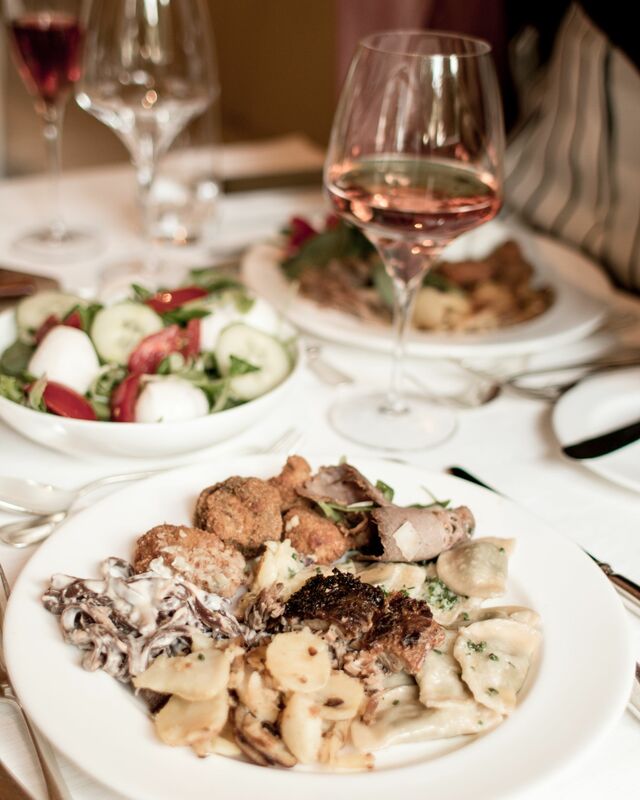 From veal to freshly made pasta, we were offered a taste of South Tyrol that presented, beautifully the finest dishes of the region. 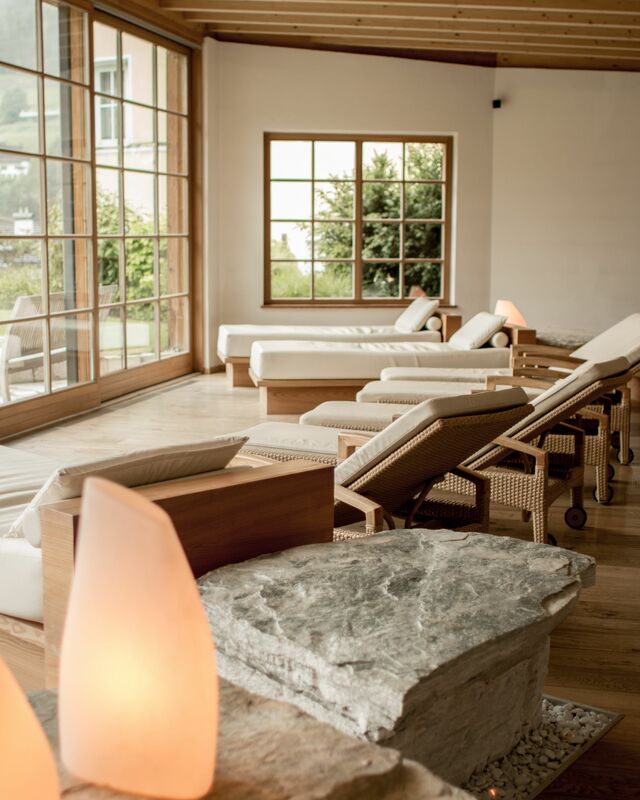 With its use of wood and natural stone, the spa and hotel itself has an incredibly calm ambiance throughout. 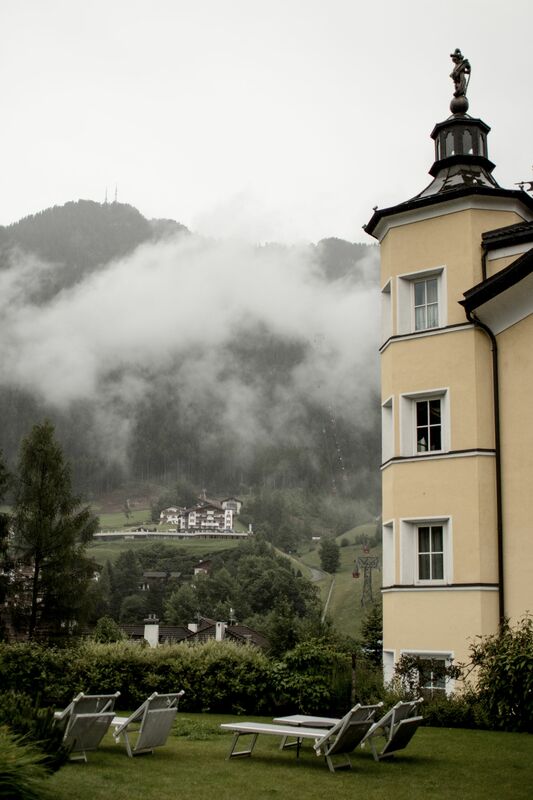 Much like Alder Thermae, Adler Dolomiti is a resort designed to make you question ever leaving. While there's plenty to keep you occupied nearby (winter sports during the colder months, mountain biking and hikes during the warmer ones), it's easy to feel like you'd just like to stay put. 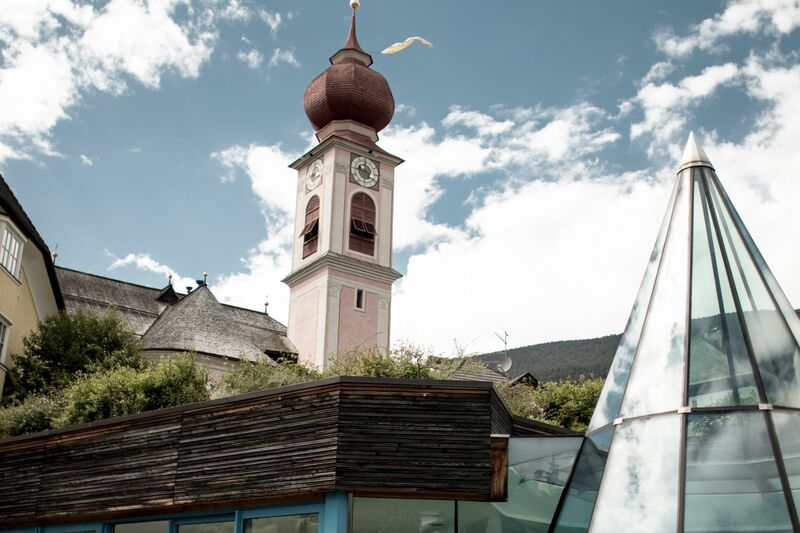 The resort offers gondola and funicular passes for guests to visit the nearby Alpe de Suisse and venture into the Dolomites. But if an active lifestyle isn't exactly what you're looking for the comfortable luxury of the hotel and its grounds, offer the perfect place to unwind. 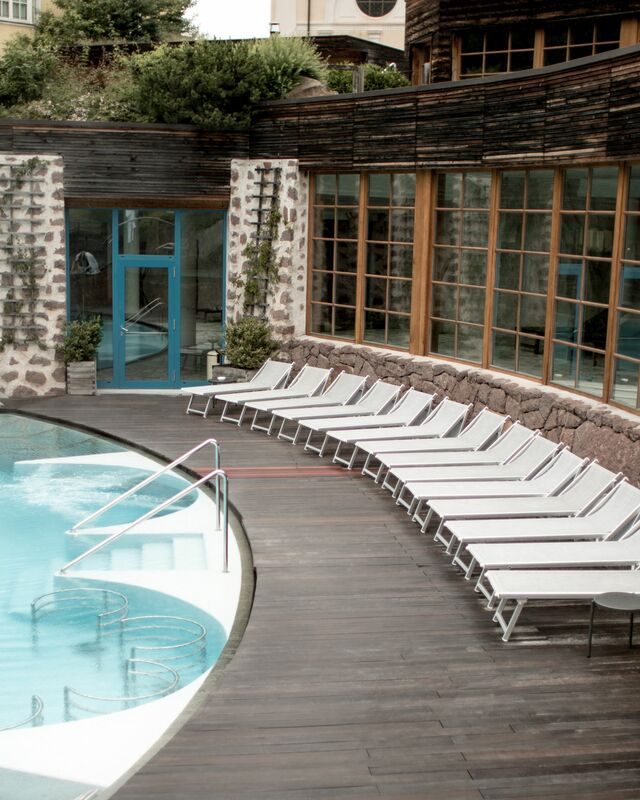 And after exploring the spa's various saunas and steam rooms, we found ourselves drawn to the many relaxation areas. From rooms filled with waterbeds to loungers, the relaxation areas offer a peaceful place to read or just lie back. 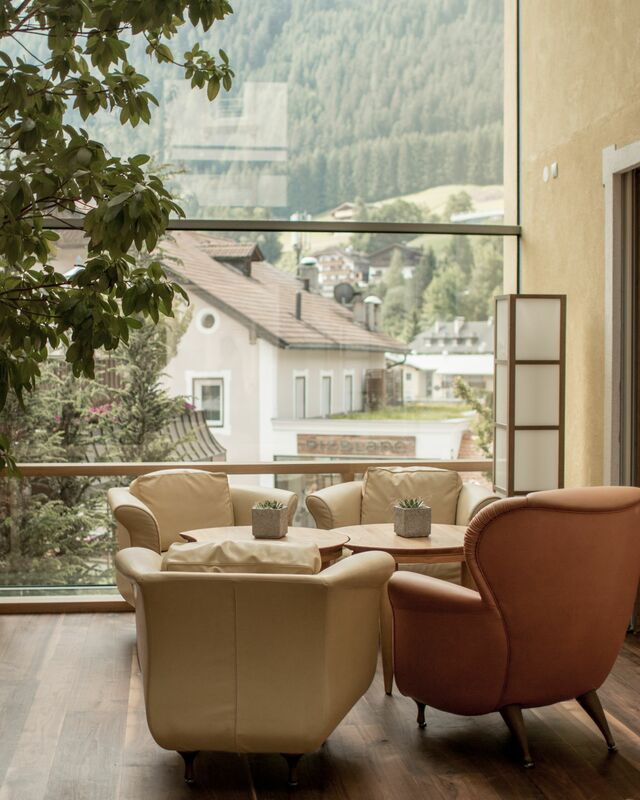 And since most of the areas are surrounded by glass, they make the perfect place to listen to the rain and while away the hours on stormy afternoons, sipping on a cup of fresh herbal tea, which is available throughout the spa area in a range of blends promoting different aspects of wellbeing. 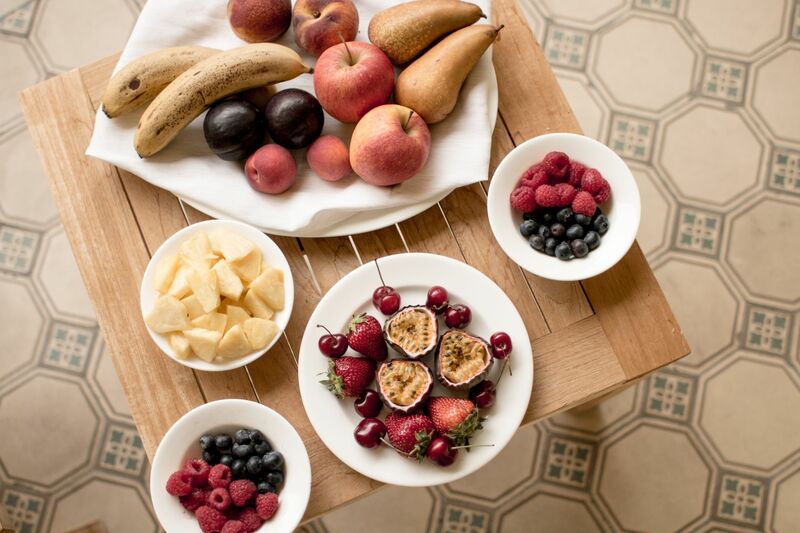 As a resort, wellbeing is incredible import to Adler and from the many areas to the programmes themselves, each aspect of the hotel has been designed to promote the wellbeing of its guests. Experiences from the private Dead Sea Salt Chamber, (which must be booked in advance), to the Himalayan Salt Sauna to the morning yoga classes, are designed to leave you feeling your very best. 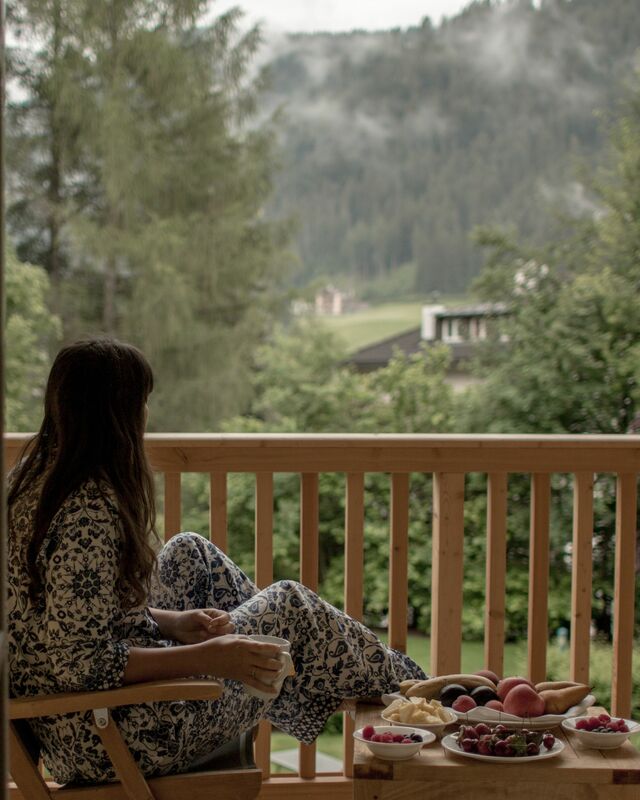 We started our mornings with daily yoga classes, to take full advantage of Adler Dolomiti's wellbeing retreats. 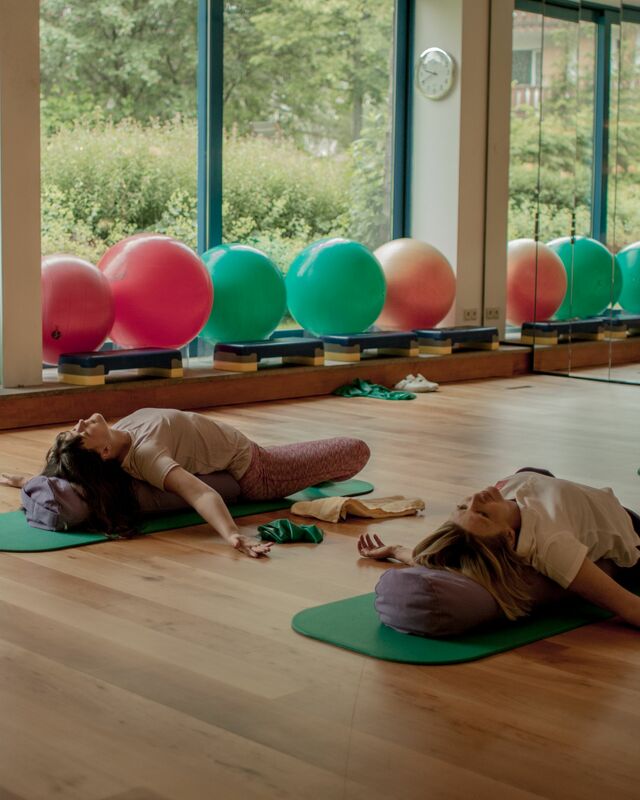 Designed to be restorative rather than straining, we enjoyed a quiet morning of stretching and controlled breathing to welcome in the day. 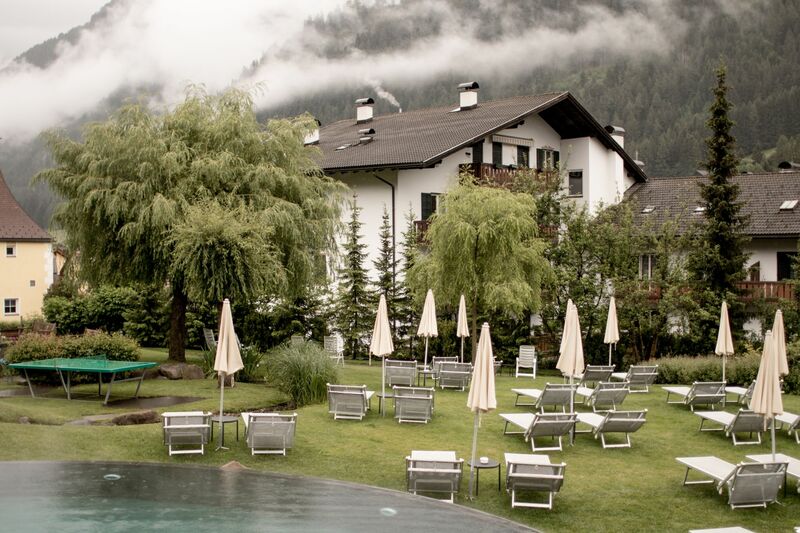 Adler Dolomiti's yoga classes, much like the rest of their fitness programmes, are designed to suit a range of abilities and when the weather permits, often take place in the hotel's tranquil gardens. However on rainier days, classes move indoors to studio looking out to the gardens. 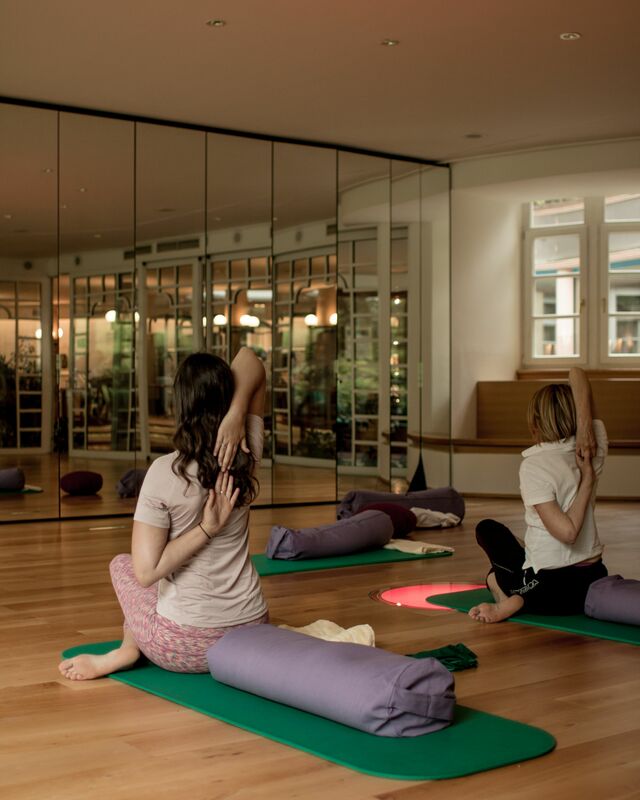 While we focused on the yoga classes offered, the hotel has a wide range of exercise classes, and full gym facilities which guests can access during their stay, to complement their spa experience. * I was invited for a complimentary stay at Adler Dolomiti for the purpose of this post, all views and photography are my own though! This looks so dreamy! What a gorgeous resort, I’d absolutely love to visit. As per usual, loving your photography!